EA-604 is a two component liquid compound with excellent wetting and quick cure characteristics. 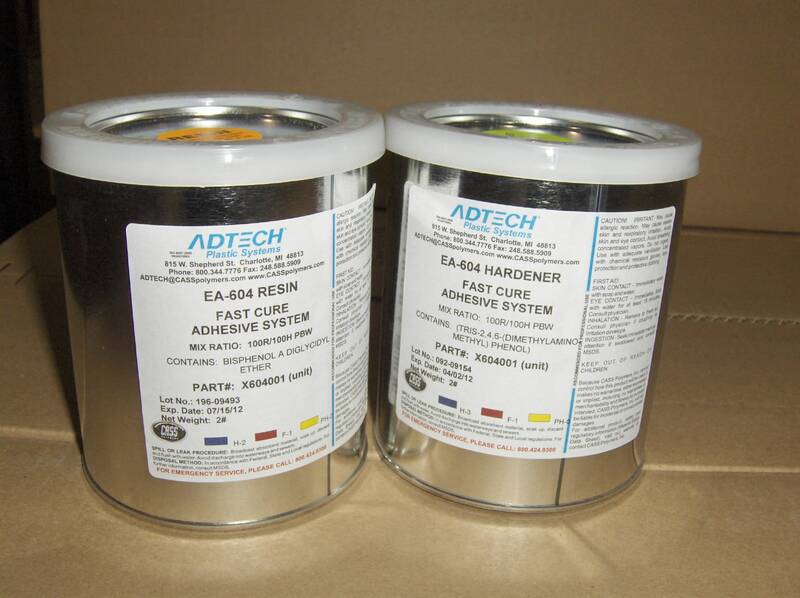 The blue resin and yellow hardener, when mixed together, give a uniform translucent green color and provides a positive mix indicator. EA-604 will cure at temperatures as low as 0°F. It exhibits an easy 1 to 1 mix ratio with a working life of 4-6 minutes at 25°C/77°F, and sets to handling strength in 10-15 minutes. Typical applications include all types of general repair and bonding requiring a liquid adhesive. 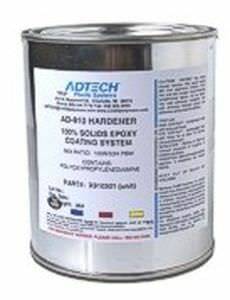 EA-604 offers a quick, easy repair of similar and dissimilar materials.